A game is forever, no matter who plays it how, where, and at which age. Online games have even special traction among Gen-Y community. The technological innovations, wider accessibility, and vested interest among game developers, gadget makers and publishers have made online gaming industry a full-fledged business sector. There are controversial judgments about how online gaming sector has turned into a rapidly fragmenting marketplace. But then, the major trends that we have picked up in this article, will show that popularity of online games will continue to rise in future – strengthening the business even more. 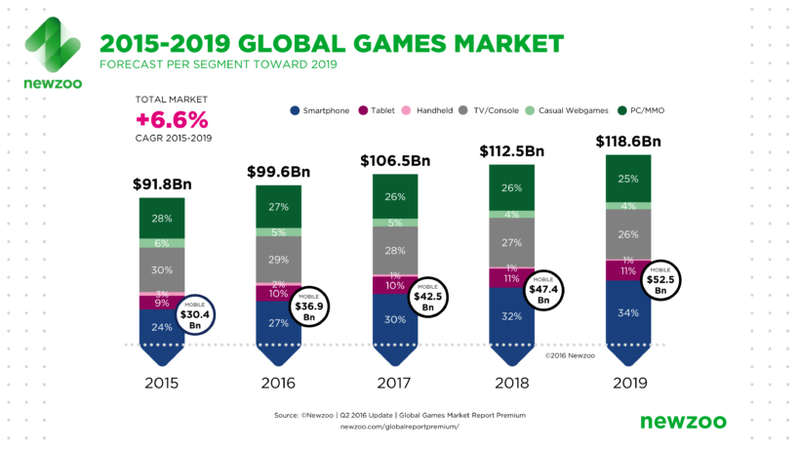 With increased internet accessibility and mobile usage, gaming companies are facing lower barriers to enter the market. They offer interesting titles to play for free. Most popular games like League of Legends, Kitchen Scramble and other puzzle-based games, cooking, driving/ racing, dressing-up games come at no additional cost. This 360 degree of freedom of choosing and playing online games has boosted both younger generation and older game lovers. With steadily rising demography of gamers, experts find online gaming industry a secured business for profitable investments. Modern parents have embraced the gaming habits among teenagers. The first generation parents who grew up playing video games or watching games in TV understand the passion well. They inoculate the same knowledge and interest into their children. In fact, today 80% of parents partner with their children (aged below 10 years) while playing video or online games. This parent-child co-operation will grow the gaming market substantially in coming years. The shift of gaming platforms from desktop based machines to smartphones, laptops, and other gadgets has worked wonders for mobile game developers and designers. Today gamers can also contribute to the game development process right from the scratch. Powerful creative tools and user-friendly map editors allow players to build their own level and then share them with friends and peers online. Such advanced accessibility and playability of games across devices and locations are stupendous. The growth of virtual currencies like Bitcoin, Litecoin has enabled gamblers to enjoy no-fee currency conversion benefits. Many online casinos and sports betting sites entice gamers with attractive offers, best deals, and coupon codes. Players can even win real cash prizes by taking part from the comfort of their homes. Online Casino games like Live Poker, blackjack, slots and sports betting like football betting, horse race betting, golf betting, cricket betting have gained much popularity in recent times and will grow even more in future. The best thing about playing this wide range of sports betting games is that you get total guidance and accompanying statistics from the betting sites. That means you end up beating competition while gambling on your favorite sports online. There is already a huge market for these betting sites offering real money, and the growth seems ever-increasing. Comparing deals and offers from betting companies is now even easier with betting review sites. Top review sites allow gamers to find the right bookmakers offering best deals online. You can gather relevant information about bookmakers, read their user reviews, and learn the process to sign up and bet. Such comparative analysis of bookies facilitates gamers to make a fair and impartial review of betting sites which in turn leverages them the higher benefits. With the rise in the number of sports betting sites and casino game review portals, the 21st century will see a steep rise in the gaming marketplace. Playing online games is now even more interactive with VR glasses and helmets. This is really an exciting way to experience virtual games as if you are in a real casino or in a football stadium. The gaming toys are no more 2D objects. With 3D printing getting cheaper, more and more publishers are creating and distributing model based 3D titles. The NFC (Near-field Communication) technologies also bring life to fantasy games. Players can buy 3D print of a game online and then play it with physical devices for an on-screen real-life gaming experience. With the development of electronics and gaming software programs, the demand for VR (Virtual Reality) games is likely to increase. Today online games and social spaces work together. With the improvement in broadband connectivity and networking features, gaming companies are focusing more on dynamic social experiences through their products. The idea of multi-player titles and distributed gaming environment has brought the sense of collaboration and socialization in gaming products. The built-in social sharing systems enable players to take videos and screenshots real-time and then share them online without leaving the game. All these ongoing feature enhancements make gaming console market future-ready. The popularity of online games among consumers has become a mass phenomenon. Game designers are continuously experimenting with technology and its conventions so as to create newer and better experience for players. Major publishers, corporations, and business houses are also foraying into the gaming development and research arenas. The crowd-funding from venture capitalists and angel investors further fuel this growth with large investments. All these forward-looking steps clearly show that the future of online gaming is very much on the right track.